Re: Is the soul real? capnnerefir wrote: So what if our brains are just electrical impulses, networks of neurons, and chemical reactions? I see no reason why that would be a valid argument against the existence of a soul. It would be like me saying, "My heart is made up of tissue and cells, therefor emotions do not exist." Of course, it doesn't disprove the soul. Disproving something is almost always harder than proving it. My general point was that all the functions traditionally associated with the soul (personality, consciousness, identity, etc) are fulfilled by the brain, with purely naturalistic processes. Following Ockham's Razor, if the world works out without having to assume a soul exists, then that's a good reason not to assume it does. I would be particularly interested in what you believe the soul is and does. Such things can vary greatly between individuals, and I don't want to argue against a concept of the soul you don't hold. I think that the soul does exsist. Other wise when all is said and done we just disapear. I'm not sure that I could live with that. Vote for me! I will fix everything, giving everyone health care, food, a home with high speed internet and a good paying job, & kill everyone who makes more then $1 million per year &give their money to the poorest 10%. If you don't believe that the soul is real then will you sell me your's for $20? Are you kidding? I have people willing to pay fifteen times that. I will buy your soul off of you for anywhere from $30 to $9,000. This will depend on the quality of the soul when you bring it to me. Are you paying for shipping? None of these options really work for me. I don't believe there is any sort of afterlife, but I don't think there's some 'energy' our soul goes to. I sort of believe in a soul, in that I don't believe a the corpse of, say my uncle is really him because the important thing that made him human is gone, you know? Visser 5 wrote: I think that the soul does exsist. Just because the thought is not appealing does not make it true. A soul is not something that can be disproved. Neither is God, or pixies, even the Flying Spaghetti Monster. That though, does not mean that we should take it to heart and live to that idea. Take, for example, this theory: There is, in the core of Pluto, a cupcake. It is sweet and chocolate coated, but it is also so small and makes no obvious presense. Anyone who happens to find this and eat it will never feel lonely again. But this cannot happen, because the cupcake is also invisible, and cannot be found. Now of course, anyone who even considers this to be true should rightly be called insane, but it is still unprovable. It cannot be disproved. If,though, this myth were printed in the minds of our ancestors, passed down through the generations by mouth and book, it would no doubt be in the state of religions we see today. A single believer is considered insane. A group of believers is called a religion. The same can go with a soul. We have no evidence, no reason to believe, yet many people believe it. It's an irrational belief that only intends to comfort the person in question. Just because it cannot be disproved does not mean we should take it seriously. And do we even need a soul? If the theory of a soul is correct, then our soul will last for an eternity. Can you imagine that? An eternity? One hundred years in heaven may become a little tedious, but you still have eternity left to bear. Surely heaven WILL get boring after a while? Take for example (again) my cupcake. At first, the flavour is brilliant and chocolatey, as close to perfect as possible. What if you kept eating that cupcake? Wouldnt you get full and the taste will begin to lose appeal? Could you do that forever and an eternity? Maybe just an end is better. It would be like before we were born: nothing. Why must we fear nothing, when our mind cannot even contemplate the emptiness? Have you ever thought to yourself 'I was really unhappy before i was born'? No. You haven't, because before birth, there was no such thing as emotion. On a final note, I believe that belief in a soul could become a handicap. People may believe that because they have a soul, they have another life to look forward to, and consequently may not live their life to the full. Knowing that this life is the only life i have, i get the determination to fulfill myself and do my best to contribute. This is not so much why i do not believe in a soul, but why i do not wish to believe in a soul. I'm on the fence here. 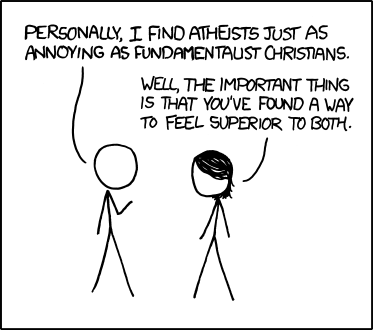 I was raised a Christian, but lately I've been becoming more Deist/Agnostic. I'm not entirely convinced that there isn't a "higher power" or omniscient being out there somewhere, and I'm not sure if I ever will be, but I also have my doubts that Christianity and any religion with complicated, fantastical histories and active, involved deities is the way to go. I see the soul as a representation of one's identity, one's core; whether this is the natural processes of the brain or something else is entirely debatable (obviously, since there's a thread about it). I do agree with Blu, though, about having an end versus living for eternity. I can't comprehend eternity; the concept is just too overwhelming for my mind to grasp. Always has been and always will be. I think I would rather just cease to exist when the time comes. To me, eternal life belittles the very concept of life. If there is no death, no end, there is little meaning in life. How can we enjoy all the wonderful things about being alive if we have no concept of death? Of a real, permanent end? One of the most defining features of life is that it is the opposite of death. Our lives and the way we perceive them are entirely influenced by the inevitability of death. If there is a soul, then it can't be proven and I am content to believe that it won't live on once I do die. katie310117 wrote: None of these options really work for me. Yes, because he's, like, DEAD. All chemical and neural activity in him has ceased (well, apart from the bacteria decomposing him, o'course) for good.